Indianapolis, Ind. -- The Indiana Career Council (ICC) today was introduced to a first-of-its-kind statewide analysis of occupational supply and demand data. Detailed by industry sector, the report demonstrated the dichotomy in high employment demand versus talent supply around the state. The ICC will use this data to create strategies and policies that align with the Council's Strategic Plan, which focuses on three organizing pillars of transformation, including system alignment, worker- and student-centric services, and demand-driven programs and investments. The common defense of the unpaid internship is that, even if the role doesn't exactly pay, it will pay off eventually in the form of a job. Turns out, the data suggests that defense is wrong, at least when it comes to college students. Gallup, in collaboration with Microsoft Partners in Learning and the Pearson Foundation, developed a 21st century skills index measuring seven specific areas: collaboration, knowledge construction, skilled communication, global awareness, self-regulation, real-world problem-solving, and technology used in learning. According to the study, 21st century skills prepare and equip youth for the challenges and demands of work in today's knowledge-based, technology-driven, globalized environment. In a few weeks, Ashley Robbins will join thousands of Purdue University students in graduation ceremonies. But unlike most of those wrapping up their studies on the West Lafayette campus, Robbins will start her professional career nearby. Robbins plans to start work this fall at Find8 Digital, a Lafayette media marketing company where she excelled as an intern. The Chronicle of Higher Education and American Public Media’s Marketplace conducted a survey of employers who hire recent college graduates in order to understand employer perceptions of the role of colleges and universities in career preparation. The survey was developed, fielded and analyzed by Maguire Associates, Inc. The sample was developed with assistance from Experience.com. We invited 50,000 employers to participate in this study. As a list source, Experience.com provided employer contacts who work with them to recruit recent college graduates. Boston-based Experience, Inc., which tracks college graduate's career progress, recently conducted a survey of employers in which 91 percent said they believed students should have at least one internship under their belts by the time they graduate. There will be more competition for top-level interns this year as the job market improves, according to the results of a survey from the National Association of Colleges and Employers (NACE). 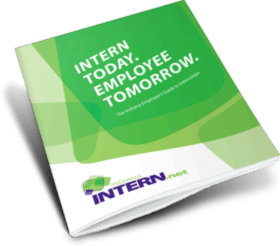 The 2012 Internship & Co-op Survey reinforces the fact that internships are a vital component of employers’ college recruiting programs. This year’s survey finds that employers expect to increase internship hiring by almost 9 percent and co-op hiring by about 8 percent. Of their total 2011-12 expected new college hires, more than 40 percent will come from employers’ own internship and co-op programs. These results are similar to those of last year’s survey, illustrating the importance of these programs within the context of the overall college recruiting process. This report presents the findings of a nationally representative sample of 571 U.S. residents who graduated from a four- year college between 2006 and 2010. Our overall goal was to better understand the articulation between their formal education and their initial positions in the workforce. This report presents the findings of a nationally representative sample of 571 U.S. residents who graduated from a four year college between 2006 and 2010. Our overall goal was to better understand the articulation between their formal education and their initial positions in the workforce. We examine how students financed their college education and how much debt they carried away from it, how well college prepared them to enter and be successful in the labor market, and what they would do differently in their college education if they knew then what they know now. We also show the diminished expectation of financial success this generation seems to manifest. NACE’s 2011 Internship and co-op survey indicates that internships are an integral and ever-important part of the college recruiting scene. Internships and cooperative educational experiences that pair college students with businesses can be called "symbiotic" - the latter being a term describing organisms with close, mutually beneficial relationships. All told, New Jersey had some 151,933 students taking college credit courses at county colleges last fall. Whether it is at one of the county colleges, one of the nine state colleges, one of the three public research universities, or one of the independent higher-education institutions, there is no shortage of talented students who can boost a business' bottom line.